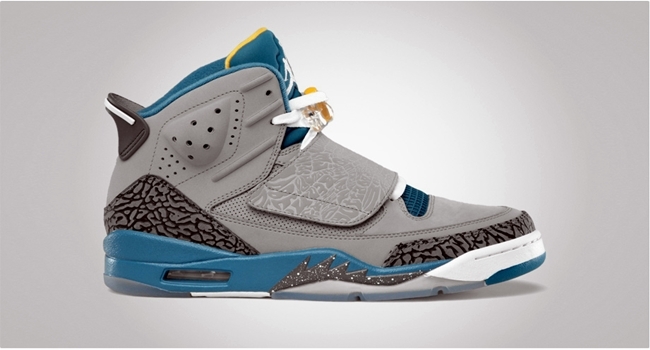 The Jordan Son of Mars did not receive warm receptions during the first few releases of this kick, but after being made available in eye-catching colorways, Jordan Brand followers are always waiting for new editions of this silhouette. This August, the Jordan Son of Mars is expected to make waves once again as it hit the market in “Stealth” edition, which has been one of the most-anticipated colorway of the shoe since it surfaced earlier this year. The silhouette, which is officially listed as the Stealth/White – Shaded Blue – University Gold colorway of the model, will be released next week, August 11, for a very-reasonable price of $160.